Silverline Montessori is a leading preschool and elementary school providing a quality Montessori education to the residents of Silverlake, a master-planned community within Pearland, Texas. Silverlake lies in Brazoria County just south of the vibrant metropolis of Houston, the fourth most populous city in the U.S.
As one of the fastest growing cities in the Houston region, Pearland offers a variety of thriving businesses, outstanding schools, and safe neighborhoods to enjoy. Millions of square feet of retail, office and residential construction have been completed in Pearland over the past 10 years, sending the city on its way to become the next major employment center in the Houston region. Pearland is home to a multitude of special events geared toward children and families. Annual events held in Pearland include the famous Winterfest, Pearland Arts and Crafts on the Pavilion, which incorporates local entertainment and performances, and Paws in the Park, an extra fun day for your family’s four-legged friends. In addition to the fun-filled community events, there are a variety of other recreational activities to choose from. For golf lovers, there are a number of scenic golf courses nearby including Golfcrest Country Club, Pearland Golf Club at Country Place, and Clear Creek Golf Club, located just outside of Pearland’s northern boundary. Just past Clear Creek Golf Club lies 288 Lake, another popular destination for Pearland families who like to experience the great outdoors. 288 Lake is the perfect place for a day of scuba diving, paddle boarding, and kayaking. For the more thrill-seeking family, Pearland BMX offers a bicycle motocross track with practice and racing nights, coaching and lessons, and memorable experiences. Silverline Montessori’s Silverlake campus is conveniently located close to the dynamic city of Houston. Houston is the most populous city in the state, and is known for its strengths in education, business, and sports. With just a short 20-minute drive to downtown Houston, Pearland residents can experience all the city has to offer including exceptional cultural amenities and recreational activities. Houston is also renowned for its colleges and universities. Silverlake is just 5 miles away from the main campus of Alvin Community College, 10 miles from San Jacinto College South, and 15 miles from both the University of Houston and Texas Southern University. Also within a close range of Silverlake, the University of Houston – Clear Lake, Rice University, and University of St. Thomas are all nearby. In addition to all of the opportunities for higher education, Houston offers a thriving workforce. 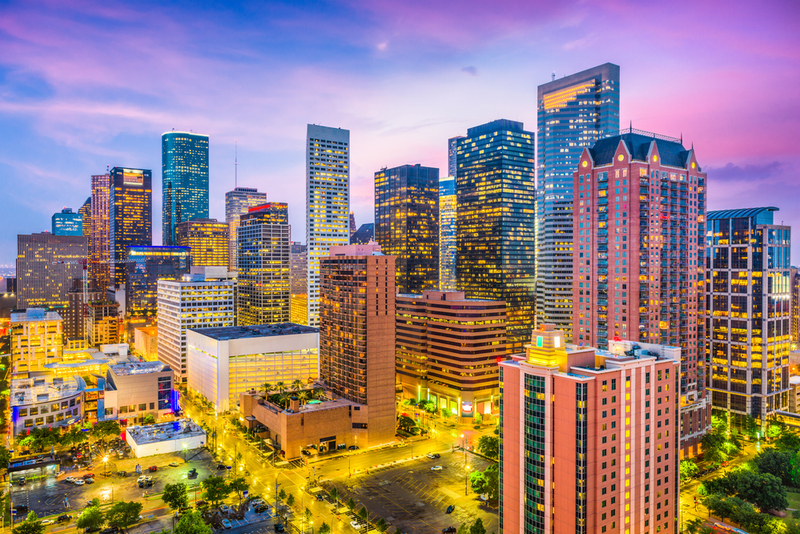 The City of Houston was ranked as first in Forbes magazine’s Best Cities for College Graduates and is recognized worldwide for its energy industry, biomedical research, and aeronautics. Many companies have established their headquarters in Houston as a result. The city is home to Phillips 66, an American multinational energy company, Enterprise Products, a natural gas and crude oil pipeline company, and Sysco, an American multinational food marketing and distribution company. Houston offers a diverse mix of options for both work and play. Venues like the Houston Toyota Center and Minute Maid Park host professional basketball games for the Houston Rockets and major league baseball games for the Houston Astros, respectively. Houston is also home to other annual sporting events like the PGA Tour’s Shell Houston Open, the Texas Bowl for college football, and the Chevron Houston Marathon. Silverline Montessori is proud to serve the Silverlake community in Pearland with a distinguished Montessori curriculum for preschool through elementary school accredited by the National Independent Private School Association, AdvancED, and the American Montessori Society. Silverline at Silverlake maintains classrooms and curriculum that are designed to enhance the senses of each child. The education and enrichment programs at Silverline Silverlake offer exploration and learning in math, language, science, history, geography, botany, Spanish, music, practical life skills, sensorial and art areas. From preschool to elementary school, the entire staff at Silverlake is made up of dedicated professionals with over 140 years of combined experience. All members of the Silverline staff have CPR and First Aid certifications, and receive ongoing training to continually expand their knowledge and skills. Silverline Montessori School in Silverlake is also only 40 minutes away from George Bush Intercontinental Airport. To get to Silverline Montessori School – Silverlake from George Bush Intercontinental Airport, head east on Will Clayton Parkway and turn right onto 4th Street/Eastex Freeway Service Road. Use the left lane to take the US 59 S/I-69 ramp to merge onto I-69 and continue south on the Interstate for about 20 minutes. Use the right two lanes to merge onto State Highway 288 Sand continue on the TX-288 for another 10 minutes. Then take the exit toward Farm to Market Road 2234/McHard Road/Shadow Creek Parkway and merge onto S Freeway Service Drive. A right onto McHard Road/Shadow Creek Parkway, followed by a left onto Reflection Bay and will leave you at your final destination – Silverline Montessori School – Silverlake. Similarly, downtown Houston is only 20 minutes away from Silverline Montessori School in Silverlake. To get to Downtown Houston from Silverline Montessori School – Silverlake, head north on Reflection Bay and make a right onto Shadow Creek Parkway/McHard Road. Turn left onto Hwy 288 N/TX 288 N. Continue on TX-288 N for about 10 minutes, then use the right two lanes to merge onto I-69/US 59 N toward Cleveland and Take the Polk Street exit and Continue on Chartres Street for half a mile. A final left turn onto Capitol Street will leave you in the heart of Downtown Houston.